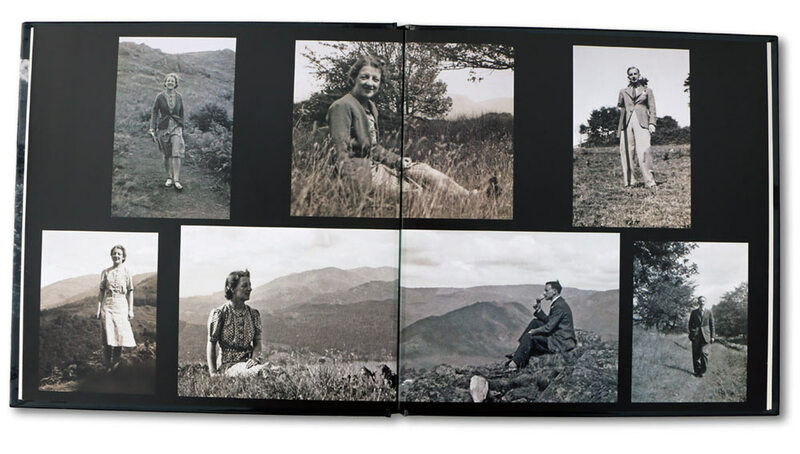 We are increasingly asked to provide our new lay-flat photobooks by people who have a collection of photographs that they want to both preserve and also share with others. Here is the feedback we received from Harry W when he received his photobook. “I had been waiting for a long time to get my photographs of a wonderful trip to the Middle East put into a photobook but, as there were some 100 photographs, I really had no idea how best to deal with it. 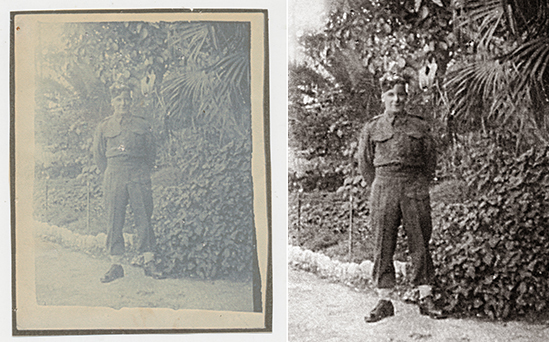 I then had some photographs restored by Richard and they were so impressive that I asked him if he could make the book for me. 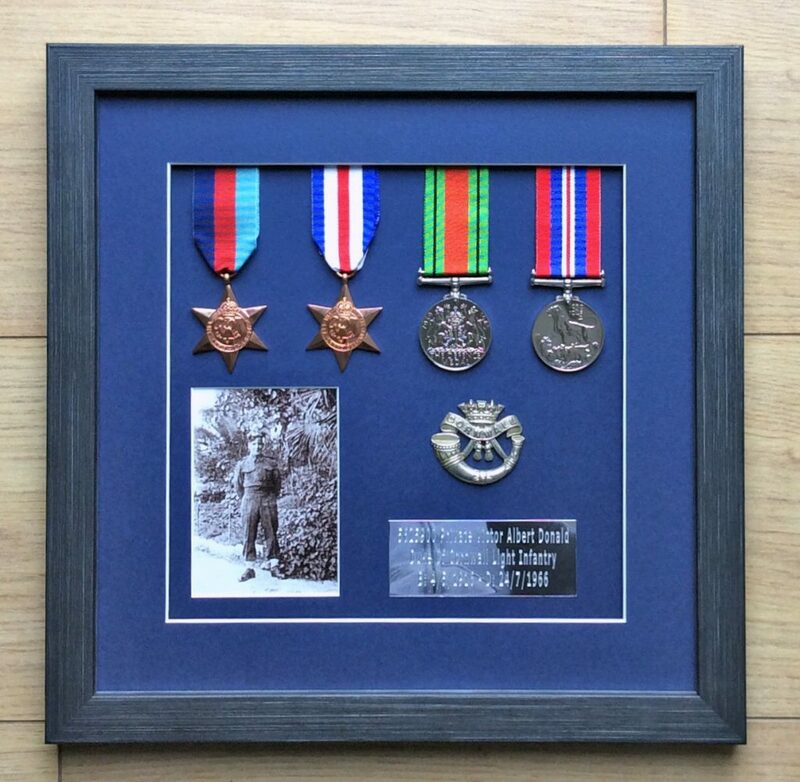 He went to as great deal of trouble to send me miniature sheets of the photographs so that I could choose what to use and what to leave out, what I wanted to print as large copies and those that could be best fitted in as smaller ones. Photographs are by far the best way you have to remember your own special times and your family history. Have you got a collection of really special photographs that stay tucked away and that you never look at? 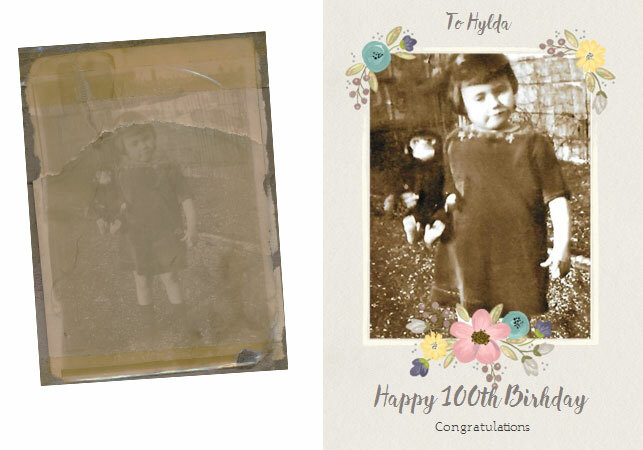 I can help you at every stage of the process, including scanning your photographs, optimising them to reduce fading and correct the colours, putting the photo book together with titles and captions if required and even sending you an online virtual proof of the book, for you to approve before it’s printed. Our new lay-flat premium photo book offers a truly professional finish. The photo books are digitally printed on heavy weight 216gsm premium silk paper and then sewn bound for added permanence. The outer cover can also be printed and then gloss laminated for protection. This is a substantial book that far superior to many other photobooks you may have seen. 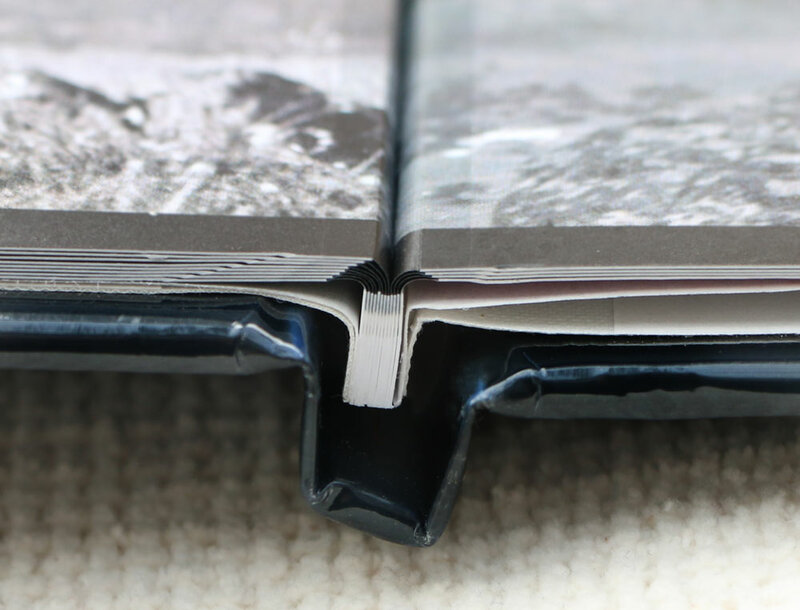 The lay-flat albums use a unique hinge which allows for the continuous flow of images over a spread, with almost no central image loss. 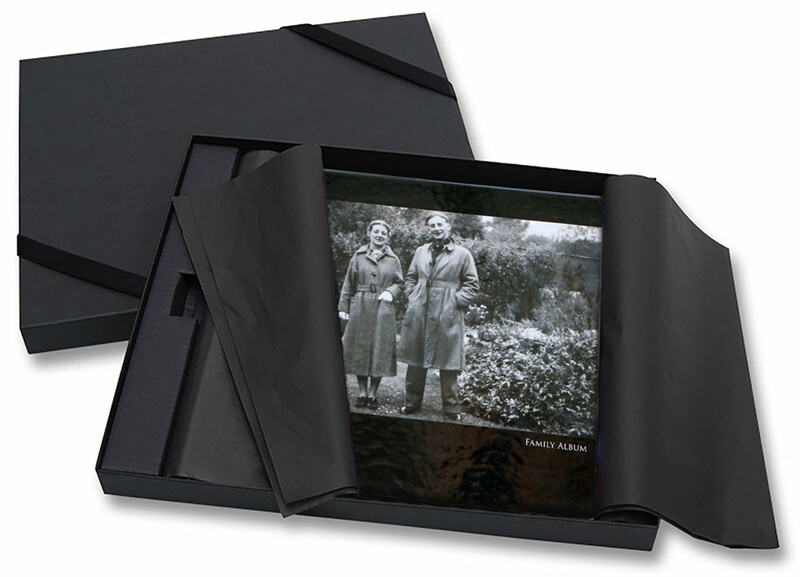 Also available is a black tissue-lined presentation box, ideal if the photo book is being given as a gift. You will then have a wonderful photographic record of all your memories to enjoy and share with others as well as something that will last forever. So take the first step now! 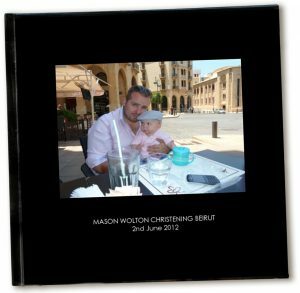 Look out those precious photographs and select the ones that will go in your photo book and get in touch with me by phone or email if you have any queries or anything you’d like to discuss in more detail. There is no better way to remember all the great times in life than through the photographs you have from the past, present and future. Previous generations have very few photographs compared with the number we have today. Photographs are so important yet they often remain locked inside our phones or packed away in a box. So make the most of your photographs. Here are 8 tips…. Download the photos from your phone – either onto your computer or a cloud-based storage site such as MyKnowHowCloud.com where you can store all your photographs and any other important files. Make prints and enlargements of the best photographs, frame them and get them out on display so you can enjoy them. Photographs are a great way to remind you of good times that you’ve had and important events in your life. Photographs are the best way to remember parents, grandparents and past generations. In many really old photographs the people in them often look very serious in formal poses in studios. These were sometimes the only photographs that existed and they have a special charm and look great when enlarged and framed. Create a photo book of your favourite memories. Your photos are the record of your life so far. A photo book of your family life in pictures is a wonderful thing to have and will give you and others a huge amount of pleasure. Taking photographs today is a fantastic way of spending time that costs virtually nothing. It’s creative, social and rewarding. We take as many photos each day now as in the first 74 years of photography. It’s important to remember to do something positive with the photos you take. If they’re not right, fix them! With the fantastic technology available today virtually any photo that is is in some way not as good as you’d like it to be can be resolved with digital software. You can fix lots of elements yourself with free programs such as Google Picasa. Use Photographs Forever as a resource for any advice you may need with your photographs. You can call me any time. It is my passion that you make the most of your photographs. Get them on display, and get them scanned so you have digital copies in case the original prints get lost or damaged. If they need improving either do it yourself or let me do it for you. Let there be photographs! Organise Your Photographs – It’s Easier Than You Think! Are you one of the many people who has hundreds or even thousands of photographs, some in albums, some in boxes, and in more recent years, huge numbers of digital photographs on the computer? The thought of organising all your precious family photographs can seem quite overwhelming although when it’s done there are huge advantages that make the job very worthwhile. How good would it be to be able to find the photos you want, when you want them, and end the seemingly endless frustrating searches that we’ve all done in the past. More importantly, when your photographs are organised, future generations will have all the benefits of your efforts. They will know who is who, dates, places and any other detail you may be able to add. 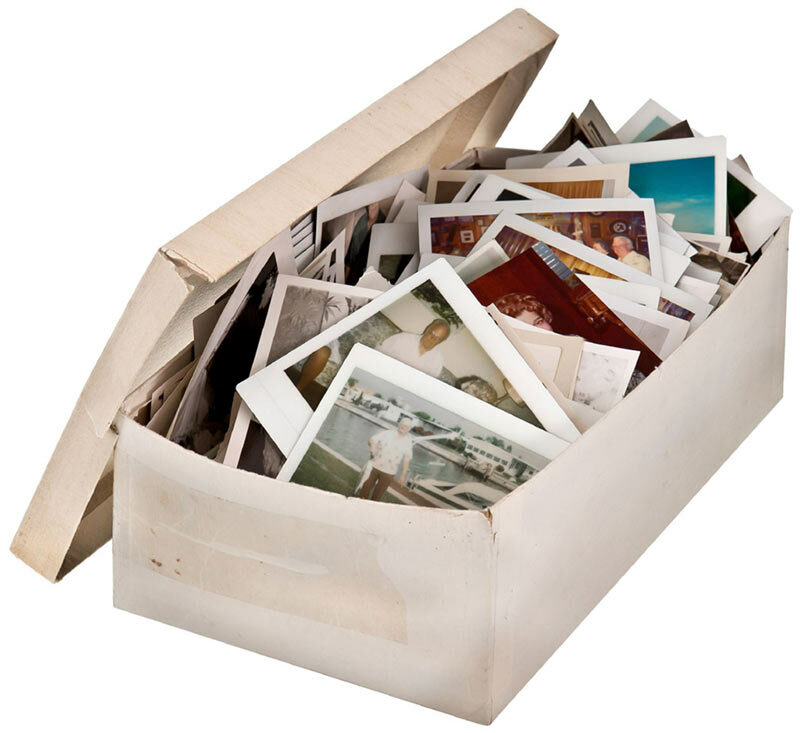 Your photograph archive becomes a valuable heirloom. At first it may seem like a task that is just too enormous to tackle. The good news is that when it’s broken down into simple steps, it’s much easier than you think, is actually great fun and is very rewarding. Sort the photographs into as near chronological order as you can. During this process put aside any duplicates, sub-standard photographs and ones that you don’t like or are irrelevant. Scan all the remaining photographs to your computer. Use a scan resolution of 300 – 600 dpi so that any future prints made from the scan will be good quality. If you can’t do this yourself I can do this for you. Create a sub-folder for each year in the My Pictures folder of your computer and put the scanned images into the appropriate year’s folder. Where the year is not known just use your best estimate. To further refine this you can add a sub-folder in each Year folder using the date and subject. For example name the final folder 2013-10-15 Family Party. By using the date format with the year first this makes sorting the folders more logical. Picasa is a free program by Google that makes it very easy and straightforward to keep track of all your photographs. It will automatically find all the photographs on your computer and arrange them all in chronological order keeping the names of each folder. This will include all the digital photographs you already have on your computer. You can also title each photograph with further information about the people, places and any other information required. Tagging your photographs in Picasa is also a useful way to find what you want quickly. A tag is used for a type of photograph, for example ‘Home’. How this could work is that any photograph from any year that features your home could be tagged with the word ‘Home’. Other tags might be ‘Buildings’, ‘Holidays’ or anything else you choose. Picasa has great search capabilities. If you type in its search field any word relating to the name of a folder, sub-folder, title or tag it will instantly display all those photographs on your screen. Picasa also has a fantastic face recognition feature which work extraordinarily well. It recognises faces even in large group photos, makes a thumbnail image of just the face. You name each different face and it finds all the photographs with that persons face, at any age, and creates a thumbnail of the face against that person’s folder (automatically created). If it doesn’t get it right (rarely) you have the option to correct it. This is a very useful feature in family history projects. So now you have all your photographs in one place, you have named folders and photographs and they are easy to find. It’s important that you back them up. This can be done simply by copying the files onto a separate USB external hard drive, CD or memory stick or better still in the cloud on line. Livedrive (see www.livedrive.com) is an easy inexpensive cloud-based backup service – a small price to pay for security of all your precious photographs and any other information you need backed up.